1. 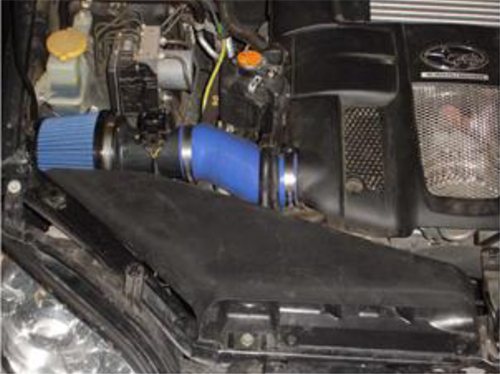 Start by removing the two plastic retainers that hold down the air intake scoop. 2. Using an extension, remove the 10 mm bolt that holds the bottom of the air box to the chassis. 3. Using a 10 mm open end wrench, remove the nut that holds the front of the air box to the chassis bracket. 4. Now loosen the 8 mm hose clamp from the intake tube. 5. The air box is now ready to be removed. 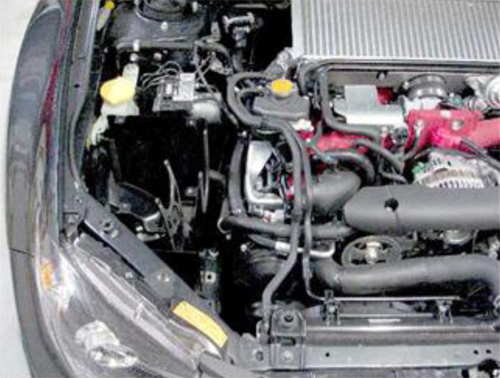 When removing the air box, take care to un-clip the power steering hose and MAF sensor wire that are attached to the air box directly under the intake tube. 1. 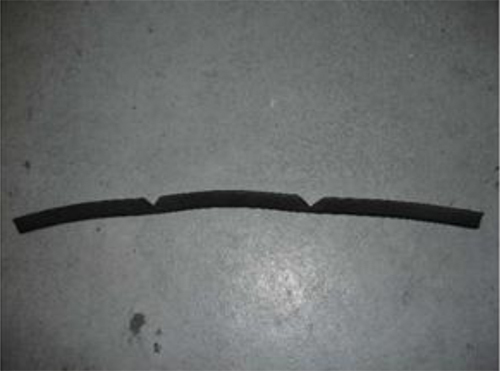 (Optional) If a tighter seal is desired, cut the supplied edge trim and install as shown. Cut small triangles into the trim anywhere there is a sharp bend on the box to help the trim conform to the bends. 2. 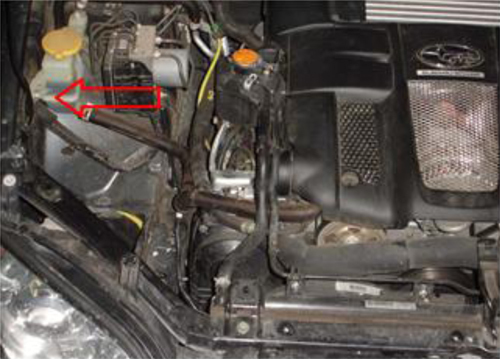 Remove the 10mm bolt that holds the front of the power steering reservoir in place. 3. Drop the air box in place and slide the COBB MAF sensor housing bracket under the air box bottom and loosely install the provided 16mm long 10mm bolt and washer through the air box bottom and MAF bracket in the upper threaded bolt location on the frame rail making sure there is a 16mm nylon washer in between all serrated bolt heads contacting the air box in order to protect the powder coat. The MAF sensor wire goes through the provided slot in the back of the air box. 4. Now install the provided 20mm long 10mm bolt and washer in the power steering reservoir bracket. 5. Install the 16mm long 10mm bolt, nut and washer in the front tab of the COBB air box. Make sure the tab on the air box rests in front of the chassis bracket. 1. Now remove the MAF sensor from the stock air box by removing the two Phillips head screws and install it in the new COBB MAF housing using the supplied 3 mm Allen head screws. Take care not to pinch the O-ring on the MAF sensor when installing it into the COBB MAF housing. 2. 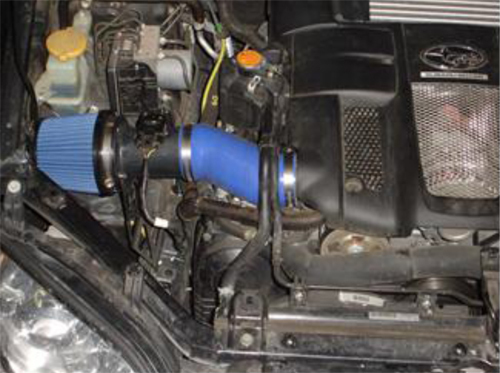 Install the supplied air filter on to the end of the MAF housing and tighten the 8 mm hose clamp. Next, loosely install the new silicone tube on to the MAF housing taking note that the bigger end goes on to the MAF housing. 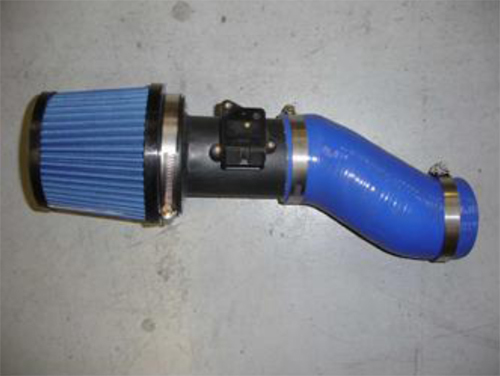 After these two steps your COBB SF Intake should look like the picture below. 4. Now loosely install the intake bracket to the new MAF housing using the two supplied silver 10mm bolts, washers, and lock washers. 5. At this point you may now fully tighten any remaining hose clamps and bolts and connect the MAF sensor connector. 6. 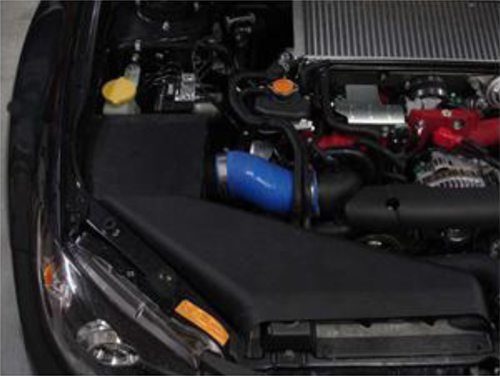 (Only when installing the COBB Air Box) Now position the stock air intake duct in place but do not attach it yet. It is now time to install the lid, attach the lid to the air box bottom using the 4 button head hex bolts and 4 13mmnylon washers to protect the finish on the lid. 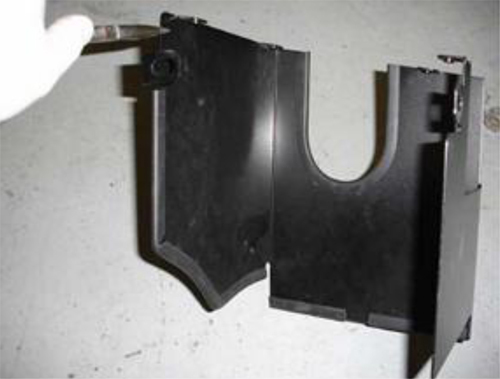 The factory intake duct cannot be installed after the lid is on due to its design. 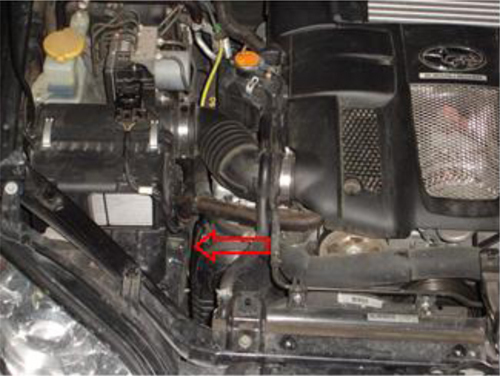 To tighten the front lid bolts the intake duct may need to be lifted while tightening. If you find the bolt holes do not line up, the air box bottom may need to be loosened adjusted and re-tightened for a perfect fit. All of the holes are slotted to allow for differences from car to car. 7. 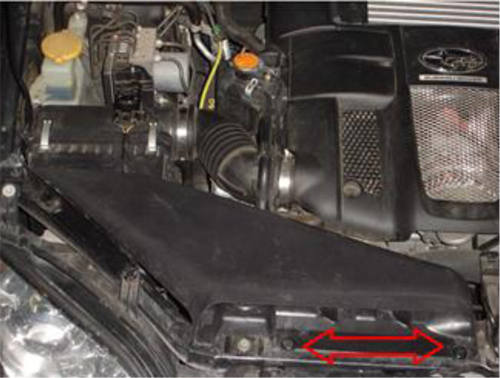 Re-install the factory air scoop using the two plastic clips as this will help in directing air to the filter.